Q-Lab Arizona’s 120,000 m2 outdoor weathering site. Q-Lab Arizona ranks among the largest desert exposure facilities in the world. Q-Lab Arizona is located 30 miles west of Phoenix in the town of Buckeye, an area away from automotive, industrial or agricultural pollution. We offer natural outdoor exposure testing, Q-TRAC natural sunlight concentrator testing, and specimen evaluation services at Q-Lab Arizona. These contract test services are ISO 17025 accredited. Arizona is an internationally recognized benchmark location for outdoor weathering exposures because of its high-intensity sunlight and high year-around temperatures. 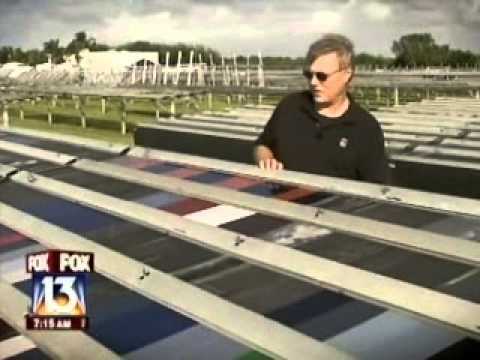 Compared with Florida, the Arizona test site offers about 20% more sunlight, higher annual temperatures, and lower humidity. During the summer, the air temperature may reach 115°F (46°C). A black colored specimen may reach over 160°F (71°C). It is this combination of high levels of UV and extremely high temperatures that makes Arizona the ideal location for testing highly durable materials that may not fail elsewhere. Tests reproduce the higher temperatures found on the horizontal surfaces of a vehicle. Under glass black box exposures are used to test interior automotive materials. 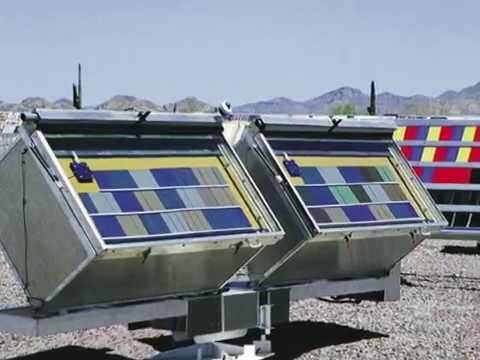 Accelerated outdoor weathering tester that uses an array of 10 mirrors to reflect and concentrate full spectrum sunlight onto test specimens. The Q-TRAC system automatically tracks the sun throughout the day in both azimuth and elevation. The combination of mirrors and tracking maximizes the amount of exposure that your test specimen receives. See Q-TRAC test services for more information. 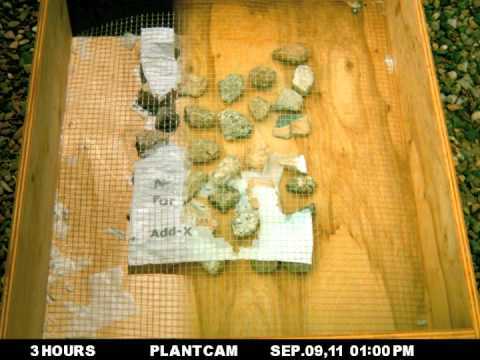 The specimen mounting technique and exposure angle both have a significant effect on solar energy dosage and specimen temperature. For a full description please request LL-9025 - Outdoor Weathering Exposure Procedures, or contact Q-Lab to discuss which option is suitable for your test program. Arizona outdoor exposure testing meets a variety of weathering test methods, a small portion of which are listed below. Visit our Standards Page or contact Q-Lab for a more complete list. Conventional and accelerated natural exposure testing are both an essential part of any weathering and light stability test program. Material scientists often use "Florida Weathering" or "Arizona Weathering" as international benchmarks for material weatherability testing. For a complete outdoor testing program, many companies test their products in both Florida and Arizona. Q-Lab Arizona has a hot and dry desert climate year round. Samples shown here are backed with plywood and at a 45 degree orientation, for maximum exposure without tracking. increases the temperature of the specimens even more. Doorknobs and locks under durability testing in Arizona's desert climate. Ink specimens undergoing testing for fading and lightfastness behind window glass. Exposure tests are performed on test panels and on actual parts. Test methods and the size, shape and material of specimens determine which type of direct exposure testing is right for your products. The Q-TRAC natural sunlight concentrator uses an array of 10 mirrors to reflect full-spectrum sunlight and concentrate it onto your test specimens.